If you are self-funding, you’ll need to come up with the course fees, and the amount you pay will depend on where you live, the subject you are studying and whether you’re studying full or part time. For example, annual fees for UK/EU PhD students at Bangor University are £3,466 full-time and £1,733 part time (2010-11). For non-EU students, fees are £9,120 for arts, humanities and business courses, and £10,200 for science programmes. Studentships are normally fee-free and many universities offer other fee scholarships; for example, York University’s DORS awards for overseas students. Course fees may also be affected by where you studied previously – for example, Edinburgh University currently offers a 10% discount on doctoral courses for those who studied there at undergraduate level. While loss of earnings is not a ‘cost’ as such, it’s certainly something to bear in mind if you are currently earning a salary, as your income may drop significantly. Even if you are lucky enough to get maintenance funding, bear in mind that the minimum level of stipend set by the research councils is supposed to match the tax-free equivalent average graduate starting salary. Research Council stipends are currently a minimum of £13,590 per annum (2010-11 rates), paid tax free, and may be topped up by other organisations involved in your research. Some students are also able to supplement their income with teaching/research assistant work at their university, but unlike undergraduates, PhD students are expected to continue their study throughout the year, so vacation work is not really an option. 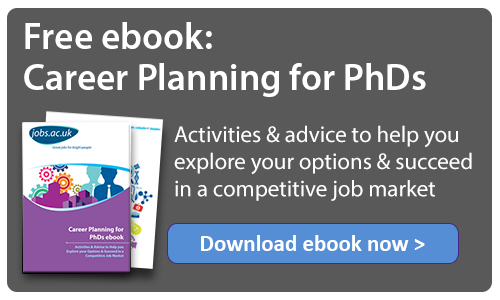 Many self-funded PhD students combine part time study with part time job in order meet their costs, but this means their programme takes some six or more years to complete. Living costs depend on where in the country you live. For example, Queen Mary University in London recommends budgeting £12,000 per annum for living costs; however, the Scottish Graduate Programme in Economics website suggests that living costs there are £9,000-11,000 per annum. If you are relocating to study, find out the average price of university accommodation as well as local rates for private accommodation – it may be significantly different to where you currently live. Living costs as a student are often different to when you are working. If you’re conducting the majority of your research from home, commuting costs will be minimal but utility and phone/internet bills will be higher. Remember you will still be eligible for the usual student discounts/concessions. Whatever your course of choice, there is likely to be equipment, books, photocopying, travel for conferences and/or fieldwork costs that will need to be factored in. There may be small grants available from either the university or charitable bodies for research costs. LSE’s Government department, for example, provides small grants (£80-200) to students attending specific conferences during their study. Check with your department to see what’s available.